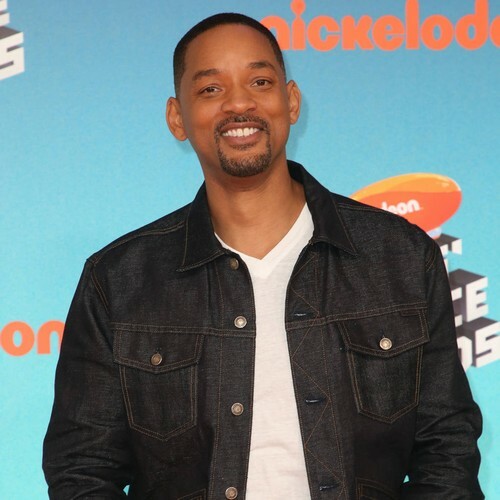 Will Smith has offered up his services to join rising rapper Lil Nas X and new collaborator Billy Ray Cyrus for the music video to their Old Town Road remix. The music newcomer was recently at the centre of a U.S. chart controversy after Billboard officials declared his viral hit was ineligible for entry on their Hot Country Songs list because it "does not embrace enough elements of today's country music to chart in its current version". It was promptly removed from the countdown, on which it had peaked at number 19, but veteran singer Billy Ray reached out to Lil Nas X online and urged him not to let the setback dishearten him. The words of support led to Lil Nas X, who described his tune as "country trap," to invite Miley Cyrus' dad into the studio to remix his single, which was released on Friday (05Apr19). The track has proved to be just as popular with fans, and now even Will Smith is interested in getting involved. The rapper-turned-movie star took to Instagram to share a clip of his old cowboy-themed video for 1999 hit Wild Wild West, setting the footage to the sounds of the Old Town Road remix, and then expressed his desire to feature in their promo. "Y'all Call me when you're ready to shoot the video @lilnasx @billyraycyrus," Will captioned the post. The shout out stunned the 19-year-old MC, who commented, "NO F**KING WAY," and even Billy Ray's wife, Tish Cyrus, is rooting for the unlikely trio to get together. After Lil Nas X's shock was captured on the Comments By Celebs Instagram page, Tish wrote, "(This) NEEDS to happen! ha". Billy Ray has yet to weigh in on Will's proposal.